Joel Frederiksen is a bass singer and lutenist living in Munich, Gemany. He has performed with leaders in the early music world including Emma Kirkby, Jordi Savall, Paul O’Dette and Stephen Stubbs, and with the ensembles Musica fiata, Freiburger Barockorchester, Josquin Capella, Ensemble Gilles Binchois and Huelgas Ensemble. Joel studied voice and lute in New York and Michigan, where he received his master’s degree, working closely with early music specialist Dr. Lyle Nordstrom. From 1990 to 1999 he was a member of two distinguished ensembles for early music in the United States, The Waverly Consort and the Boston Camerata. 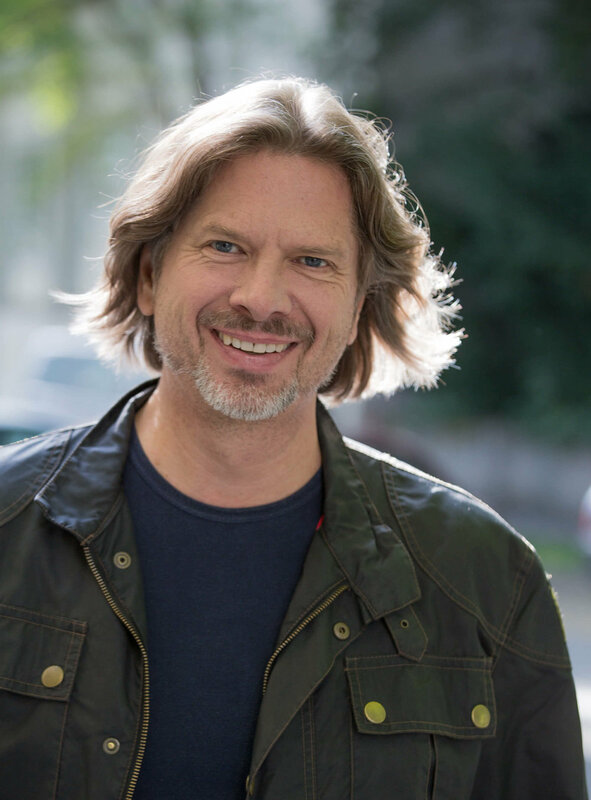 As a singer who plays the lute and archlute, Joel Frederiksen is a leading interpreter of music by the English lutenist songwriters and of early Italian Baroque music. His wide-ranging basso profundo voice and expressive performances have earned him worldwide acclaim. For many years Joel Frederiksen has dedicated himself intensively to his speciality, the self-accompanied lute song. After moving to Germany, he established Ensemble Phoenix Munich for the 2003 recording of the CD Orpheus, I am,a program of Renaissance and early Baroque music from England, Italy and France. In 2007 Joel Frederiksen and Ensemble Phoenix Munich founded the early music series „Between Mars and Venus“ in the Bavarian National Museum in Munich. Their programs are known for their originality and quality, and have received glowing reviews from the press and generous support from the public. In four concerts a season they have explored English, Italian, French and German repertoires from the Renaissance and Baroque. Excursions into the early music of Joel Frederiksen's home country, The United States of America, resulted in the highly praised harmonia mundi CD, Rose of Sharon: 100 Years of American Music (Billboard Top Ten, 2011 harmonia mundi CD), and the programs 1620: Music of the Mayflower and Wondrous Free: Francis Hopkinson and the first songs of the New World. Music of Central and South America is presented in the program and resulting CD (SONY/DHM), Un niño nos es naçido (A Child for us is born). In the interest of expanding the repertoire, pieces have been commissioned for early instruments and voice. The core of the ensemble is made up of well-known experts in the field of early music, but the personell varies according to the project. Distinguished guests over the past 9 seasons include Dame Emma Kirkby, Prof. Kammersänger Michael Schopper, Dr. Vladimir Ivanoff, Stephan van Dyke, Dr. Lyle Nordstrom, and Prof. Michael Eberth. Ensemble Phoenix Munich’s debut CD for harmonia mundi France, The Elfin Knight, was released in August 2007, and in January of 2008 Joel Frederiksen was awarded the title, Classical Music’s „Star of the Year", by Munich’s Evening News (Abendzeitung--Stern des Jahres). In November 2008 he received the German Record Critics' Prize for his second harmonia mundi release, O felice morire. The French Critics awarded Joel Frederiksen the Orphée d'Or in May 2011 for his singing on a CD of solos and duets with soprano, Dame Emma Kirkby. EPMs harmonia mundi CD, Requiem for a Pink Moon (May 2012), received Best of Year nominations and the German Echo Prize in October of 2013. With soprano Sabine Lutzenberger and tenor Bernd Oliver Fröhlich, Joel Frederiksen made a CD of music of German Minnesänger Oswald von Wolkenstein, newly interpreted (Reflektionen / Reflections; SONY/DHM 2013). His alma mater, Oakland University, honored him as one of the Distinguished Alumni in a ceremony held in the Fall of 2012. In 2015 he recorded a CD of John Dowland with lutes and Renaissance viols (Tell me, true love; planned release 2016), and in February of 2016 he made his debut as Seneca in Monteverdi’s L’incoronazione di Poppea“in Germany to exceptional reviews.